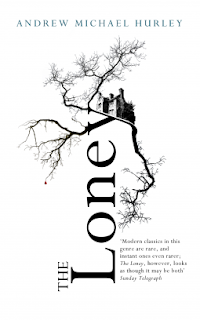 The Loney is mostly set around the events which unfold at a Catholic retreat in Lancashire in the 1970's, with flash-backs of the narrator's time as an altar boy, and forwards to the present day through conversations with his therapist. Described as a "slow-burn British horror novel in the tradition of The Wicker Man", I consider it a fantastic literary debut which will leave you thinking for a long time afterwards. Our unnamed narrator and his mute brother, Hanny, attend the retreat with their parents, devout parishioners and a newly appointed priest, Father Bernard. It has been some years since their last visit, which appears more of a pilgrimage in hope of "curing" Hanny's illness, and the landscape has changed much: it's barren and intimidating presence as much a reflection of a loss of faith as significance for the dreadful events which unfold. Whilst the adults in the party attend to the practicalities of the retreat, the two boys explore the village of Coldbarrow and encounter a host of unscrupulous characters including a heavily pregnant girl who seems to be even younger than they are. These characters seem at odds with Coldbarrow's local population, and certainly out of place in what was previously considered a wholesome and Holy place. Hanny's condition means that he cannot feel the perceived dangers, that he shouldn't seek out the girl with whom he seems to have fallen in love, yet the boys become embroiled in a supernatural plot; their silence assured by mutual guilt and obligation. Though some have classified The Loney as a contemporary ghost story, I feel the novel is less easily categorised in this genre. It is a literary treat, the narrative is delivered slowly, and with a tension that builds subtly. Elements of horror are psychological: we experience the fear and confusion of our narrator through his recollection of that adolescent summer. Story elements are delivered in tiny, delicious morsels so that we only fully realise what happened at the retreat (and even then with many questions left unanswered) right at the end of the novel. I was very happy to have the opportunity to read The Loney. Despite having read a handful of reviews beforehand, it wasn't the type of novel I was expecting! I thoroughly enjoyed the Gothic style of the narrative, the evocative use of language to describe the desolate landscape and particularly how the narrator's adolescent naivety glossed over certain scenes of tension to make me consider even more how I would interpret these events as an adult. Originally published as a limited edition hardcover by Tartarus Press, The Loney will be republished this August by John Murray. I received a digital advance copy from the publisher in exchange for an honest review. I'm pleased to award The Loney Rating: 4.5/5 stars, and hope that upon it's major release, this debut novel receives all the praise and notoriety it deserves.